You are here: Home > Kids > Vacation Camps > Spring Break Climbing Program! When school is out, it’s time to climb! 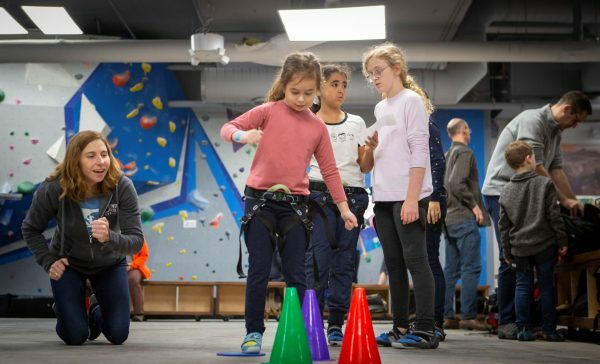 Central Rock Gym Manhattan invites your children to participate in our Spring Break Youth Climbing Program, from April 22th-26nd! Sign-up your climber now! Plan a fantastic 5-day experience for your child at Central Rock Gym! Striving to create a safe and fun climbing environment for all skill levels, our program offers new climbers a great introduction to the sport and returning climbers a great way to further their climbing experience. Busy week? No problem! We are also taking registrations for a 1-4 day only options. Participants: $400 for first child, $350 for each additional for 5-day program. Participants: $100 per child for 1-day program. Please call the gym at 212-265-7625 if you would like to book 2-4 days. Please note: There are no discounts or refunds for missed days or no-shows. Cancellations must be made no later than 48 hours in advance. Please only select the Monday booking option in the calendar below if booking the 5-day program. We do not offer early drop-off or late pick-up options.